Today is September 11. Last night, the President announced that we “will lead a broad coalition to roll back this terrorist threat” of ISIS. 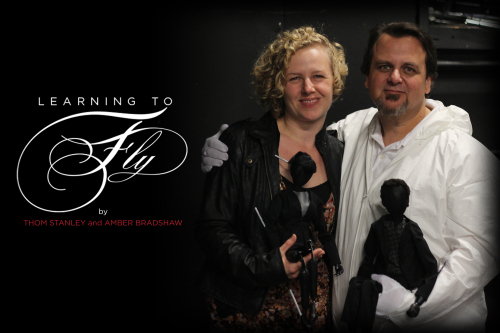 This weekend, Amber Bradshaw and Thom Stanley, whose work you recently saw on Essential’s stage in this summer’s World Premiere production of That Uganda Play, are at the 9th Micro-Festival of Unfinished Puppetry in Quebec, Canada, workshopping and presenting a full one-act length version of their collaboratively developed Learning to Fly, which premiered this past spring as a 12 minute short in XPT at the Center for Puppetry Arts. The Micro-Festival this weekend is put on by Les Sages Fous, a puppetry company in Quebec, Canada. This Festival specifically exists for projects that are in development and “audience interested in the creative process.” It’s an interesting concept that really resonates with the work we do at Essential, and I’m proud to see Georgia represented there. Having seen the XPT version of Learning to Fly, I can’t think of a better performance to represent our creativity and passion OR our commitment to quality production and execution of ideas. And being an “audience interested in the creative process” myself, I can’t wait to hear about Amber and Thom’s experiences at the Festival. Who knows what we may learn to help Essential find new or more effective ways to support the Georgia playwrights we’ve pledged to serve? 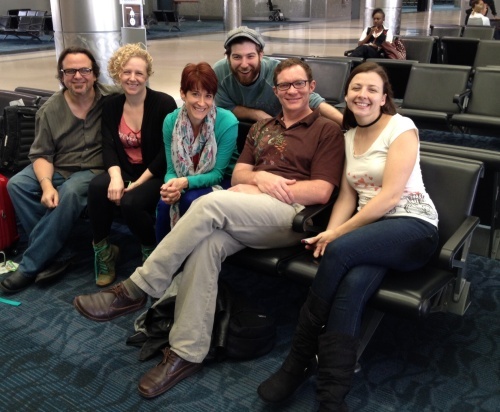 Company members at the airport 2 days ago, on their way to Quebec! If you want to know more about the evolving story of Learning to Fly and the company’s experience in Quebec, check out their indiegogo page which has video, more photos, and updates on their progress. And stay tuned here for a follow-up with participants after their return! Jennifer Kimball is managing director of Essential Theatre and a freelance stage and production manager around town. Jennifer also manages content for Essential’s blog and newsletter. We’ve been nominated for the Suzis!